Use the Genpak F050S Harvest Paper .5 oz. 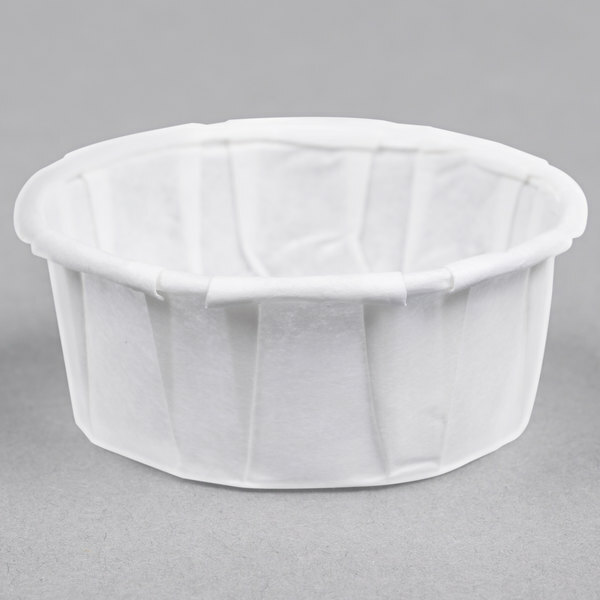 squat compostable paper souffle / portion cup for serving sauces, condiments, and dressings! 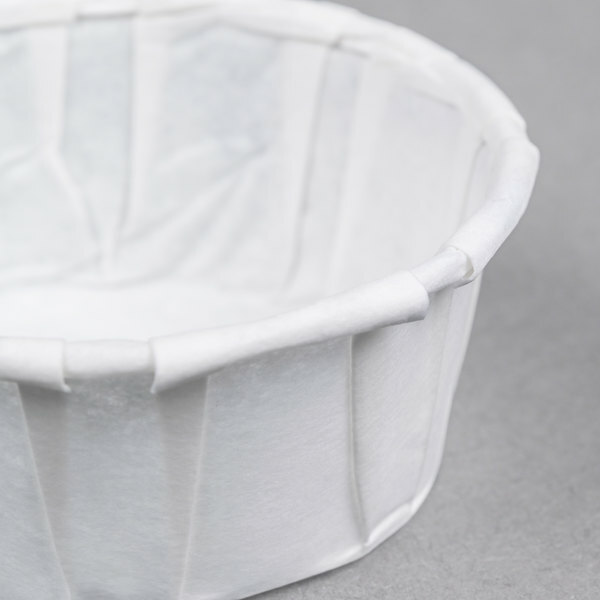 Souffle cups provide the ideal solution when you need to portion out small servings, and can even be used in the healthcare industry as medicine cups. Not only that, using a portion cup is a great way to encourage portion control and cut down on food waste. 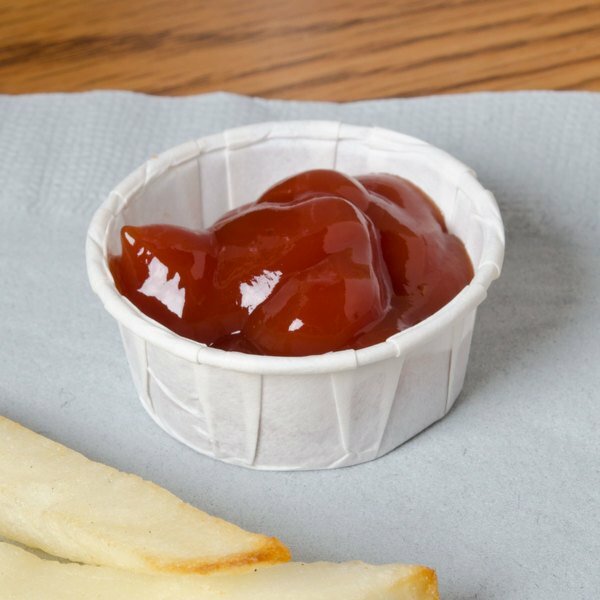 These portion cups are a good way to give things like ketchup. It's a very small amount so you can't use them for much else. I like the squat paper souffle cup better for the size. Since it is such a small size having the walls of the cup lower makes it easier to dip. These are actually a bit taller than the picture shows. I would not describe them as "squat." They do the trick though and love they are compostable. The Genpak F050S .5 oz. Squat Harvest Paper Souffle / Portion Cups are great for dipping. The quality is pretty good and the price is very reasonable. I am very happy with these cups. Highly recommend! We found these to be a very niche product and very challenging to find a use for. When you find the right type of condiment, it's perfect! These are a nice little portion cup. they are low and good for a half of an ounce. perfect for ketchup, mustard, relish or anything like that. These paper souffle cups are the perfect size for us. They prevent excessive waste, and though they are a little more money than the ounce cups, we save more than that by reducing portion size. We use them in the People's Choice Sampling tent at the BBQ festival, providing "meat shots" for the patrons, and like them a little better than the similar portion cup that isn't squat. I like to use this paper soufflé cup for filling with dipping sauces. I do this because the mouth is wide and easier for dipping things into. These .5oz portion cups works great for sampling bread and dessert to customers. They are cheap and gets the job done right the first time. These cups are a little smaller than I expected but will do the trick. The purpose is to give people samples without having people touch other people's food -- done. These little souffle cups work very well to serve samples to customers. The size is just right to serve a sample of granola, cookie, muffin, bread, etc. I also like the fact that there isn't a chemical coating on them. Would recommend this product.